This is a great reference resource for classroom display or with small groups. Each contains 12 high quality images from museum and private collections that introduce students to art from different cultures. Protective plastic sleeve provided. 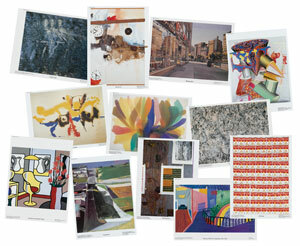 These prints were carefully selected to represent important styles of the last half of the 20th century. 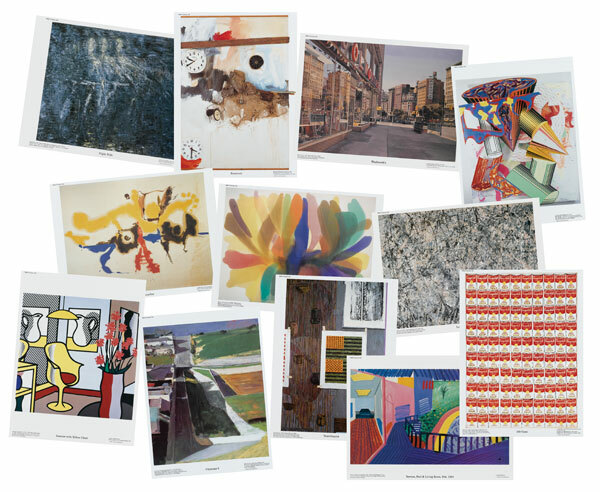 Art styles represented include Abstract Expressionism, Pop Art, Photorealism, and more.